Winner of four Academy Awards, including best picture, director, supporting actor, and best editing, Clint Eastwood's 1992 masterpiece stands as one of the greatest and most thematically compelling Westerns ever made. "The movie summarized everything I feel about the Western," said Eastwood at the time of the film's release. "The moral is the concern with gunplay." To illustrate that theme, Eastwood stars as a retired, once-ruthless killer-turned-gentle-widower and hog farmer. He accepts one last bounty-hunter mission--to find the men who brutalized a prostitute--to help support his two motherless children. Joined by his former partner (Morgan Freeman) and a cocky greenhorn (Jaimz Woolvett), he takes on a corrupt sheriff (Oscar winner Gene Hackman) in a showdown that makes the viewer feel the full impact of violence and its corruption of the soul. 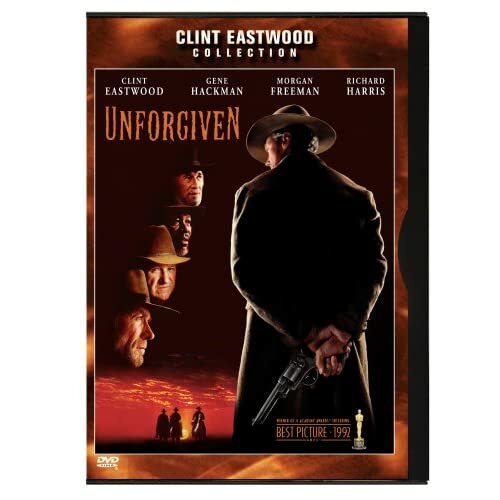 Dedicated to Eastwood's mentors Sergio Leone and Don Siegel and featuring a colorful role for Richard Harris, it's arguably Eastwood's crowning directorial achievement.